Le Rasteille is the ideal destination for nature, culture and peace lovers. Situated at almost 600 meters (2000 feet) high, next a little village in the middle of the Pyrenees Mountain, it’s a wonderful starting point for hikes, rides or cultural tourist tours. Below, you will get an idea of some of all the things you can see and do. You will find further information on the area and the activities while going in the link “Culture and patrimony”. 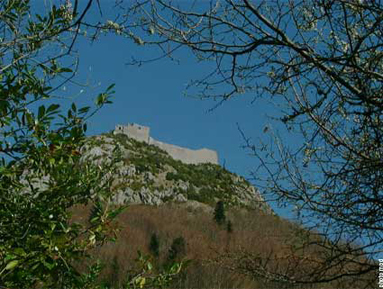 .-Montségur, a famous Cathares castle, is just 8 kilometers (5 miles) from Le Rasteille. 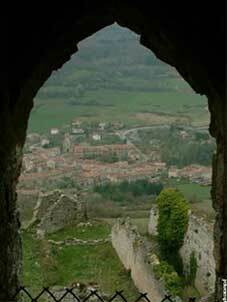 -Roquefixade, Cathare ruins, is 25 kilometers (15 miles) away. 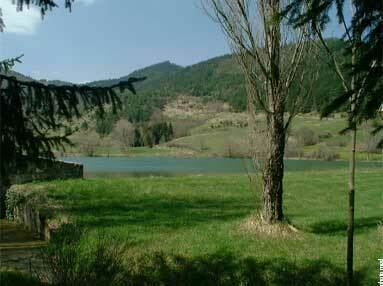 -Puivert, the troubadours’ castle, is 16 kilometers (10 miles) away. -Rennes-le-Château, a mysterious little village, which has became famous because of the Abbé Saunière, is 45 kilometers (28 miles) away. 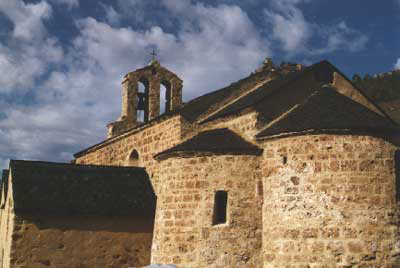 -The region of Ariège also has some beautiful roman churches. 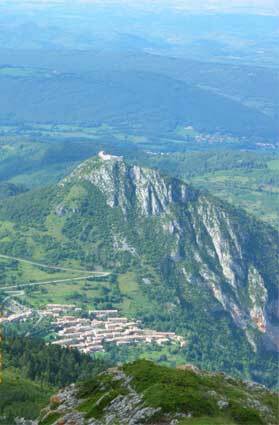 -Many hiking paths: the GR5 path to Montségur goes through Belesta, and run alongside Le Rasteille. 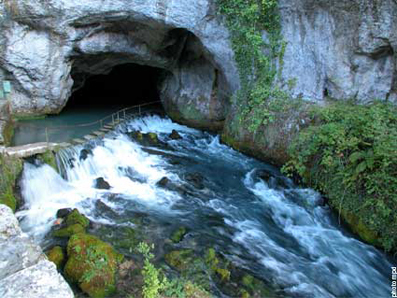 The gorge of the Frau River, a magnificent canyon, is just 5 kilometers (3 miles) from there. Going past L’Espine, you can go up the Plateau de Sault. 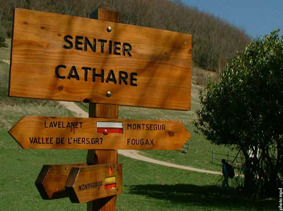 Not to miss: the hikes up to the Cathares castles of Montségur and Roquefixade. -Some beautiful ride paths: Le Rasteille is not at a very high altitude, and that is why it is an interesting place for those who like biking at any level. From Le Rasteille, you can ride along the Hers River, going through Belesta, as far as Chabrale (or even Mirepoix). Other destinations for rides in the area: the Plateau de Sault, the valley of the Rébenty, or the paths which go to the neighboring little village of Benaix. Carcassonne, a medieval city very appreciated by tourists, and its impressive perfectly preserved citadel is 75 kilometers (45 miles) away. 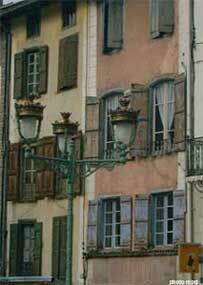 Foix, administrative city of the department of Ariège, with its center, its shops, and its imposing castle, is 40 kilometers (25 miles) away. 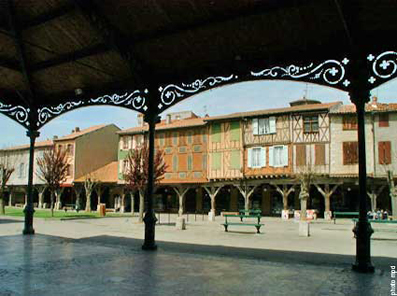 Mirepoix, a little medieval city with its picturesque market, is 32 kilometers (20 miles) away. 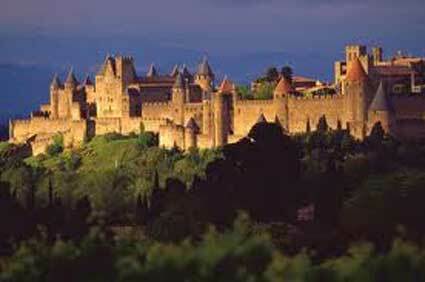 Toulouse, an important town and its very well conserved historical center, is 120 kilometers (75 miles) away.